Phone companies and correctional facilities are reaping big profits by charging inmates huge fees to stay connected with their families. Reformers say it needs to stop. Bert Johnson Rita Figueroa said her family could barely afford to pay for phone calls when she was in the Richmond lockup. 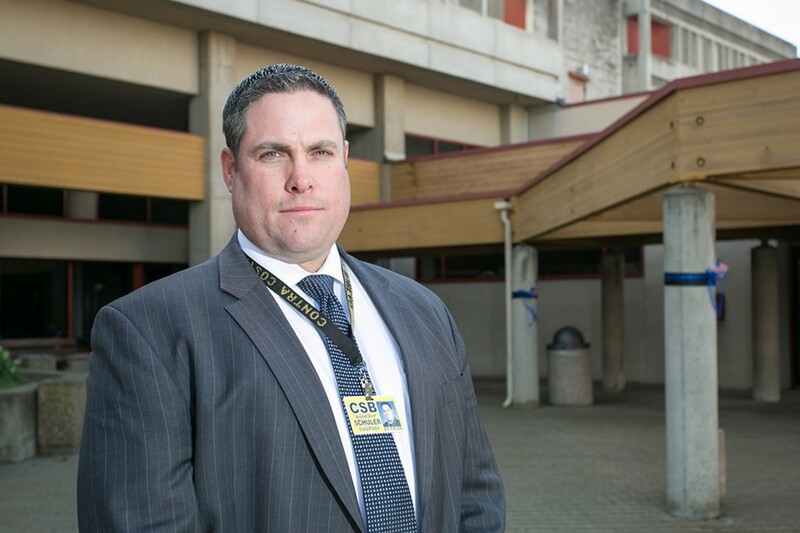 Bert Johnson Contra Costa County Assistant Sheriff Matt Schuler wants to keep the inmate phone commissions, because he said they fund essential services. 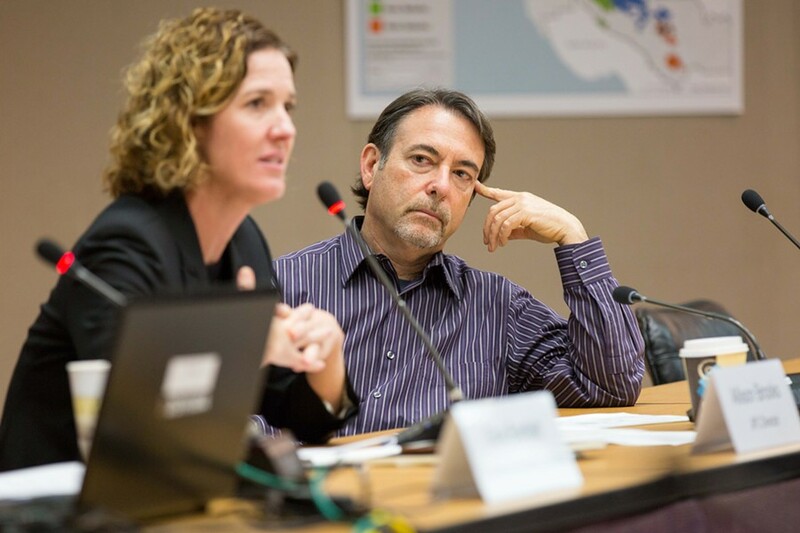 Bert Johnson Contra Costa County Supervisor John Gioia said the rebounding economy should help the sheriff's office transition off of inmate phone commissions. 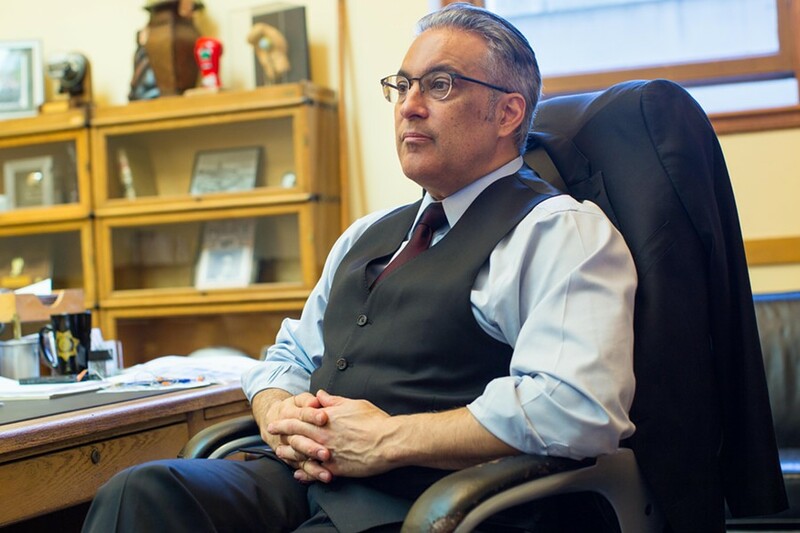 Bert Johnson San Francisco Sheriff Ross Mirkarimi was the first in the state to negotiate a contract that reduced commissions from inmate phone calls. Alexandra Garreton, Yuritzy Gomez, and Noelia Gonzalez helped translate interviews with Rita Figueroa. Rita Figueroa's phone call always began the same way: "This call is being monitored and recorded for security purposes." Once the automated recording ended, Rita would hear her husband on the line. "Hola," Roberto would say. Then Rita's questions would start: How were the kids doing in school? Was David still getting bullied? Was Astrid eating enough? In the Richmond shelter where Roberto and the kids lived at the time, they took turns passing the cellphone to each other, hoping to talk to Rita for a few more minutes. As Rita quizzed and listened to her seven-year-old son and her twelve-year-old daughter, another female inmate usually hovered a few steps away from the small bank of jailhouse phone booths, waiting for her fifteen minutes during which to call her husband, her mother, or her child. Rita was inside the West County Detention Facility in Richmond, jailed there for four months on an immigration charge early last year. 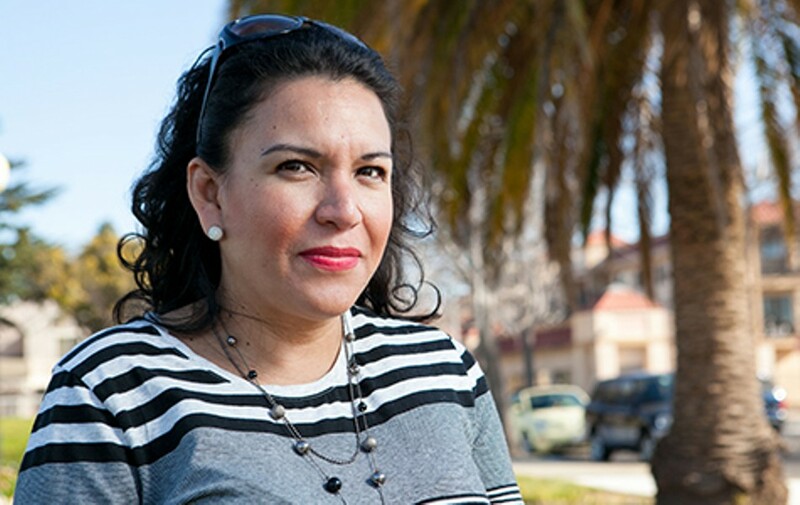 While behind bars, Rita tried to call her family twice a week — when they could afford it. "My husband didn't have work, so the little money he was able to collect he gave to me so I could have money to eat — and for these calls," Rita said through a Spanish-language interpreter after she was released from custody. For Rita — like many of the more than two million men, women, and children held in state prison and county detention systems throughout the country — a phone call from behind bars can cost up to one hundred times the cost of a payphone call. And because a system of perverse incentives allows both telecommunications companies and detention centers to benefit directly from costly phone charges, inmates' calls have grown steadily more expensive in recent years, even as technology advancement and marketplace competition have made communication easier and cheaper for the rest of society. On top of the high rates, phone companies tack on multiple fees and surcharges to inmate phone calls. There are fees to connect, to deposit money, and to validate the call. There are even fees to obtain a receipt. Rita said she never saw an itemized bill — just the regular evidence of money evaporating from her inmate financial account. "My husband would deposit $50, and they would only let us talk about five or six minutes," she said. "Then the balance would go all the way down to $15." Nearly half of Rita's money went back to the very facility in which she was jailed. Throughout the country, inmate phone call revenues are used to pad state general funds, pay jailers' salaries, and finance inmate programs and services. 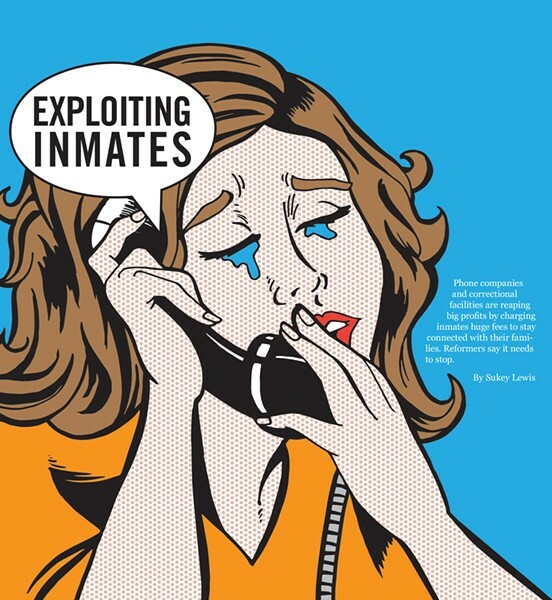 This system of "commissions" paid from phone companies to correctional departments, which has evolved over the past thirty years, has driven up the cost of inmates' family connections, and sparked increasing calls for reform. The high cost of communication for inmates has widespread impacts. It's often not just the people who are arrested or convicted who pay the phone bills — it's the grandmothers and mothers, the husbands and sons. And when they can't pay? Inmates simply lose touch with their families. And studies show that family bonds are one of the strongest guards against recidivism. 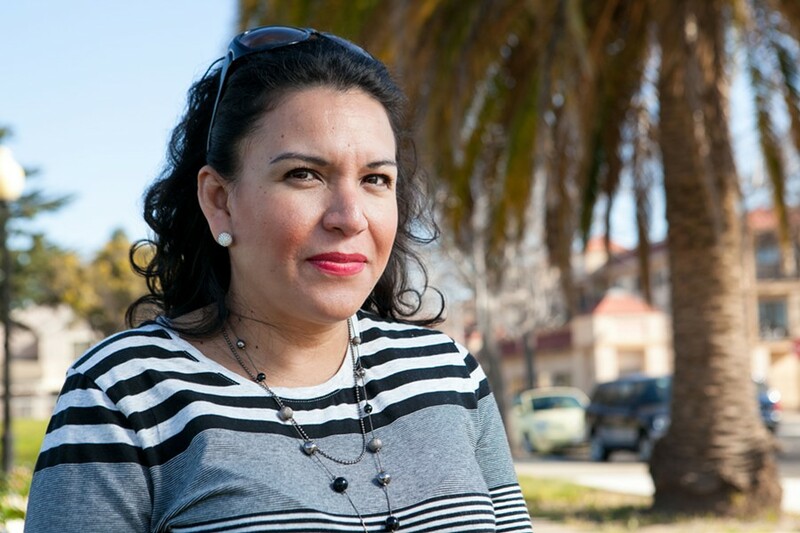 "It's really very heartbreaking to witness the impact that these systems have on people; these people are already in very precarious situations," said Christina Mansfield the co-director and cofounder of the San Francisco-based nonprofit Community Initiatives for Visiting Immigrants in Confinement, or CIVIC, which has been working to lower phone call rates for inmates like Rita. "The fact that they are gouged at every step of the way — it's terrible." This year, thanks largely to a push by Washington, DC-based Federal Communications Commissioner Mignon Clyburn, the inmate phone system is likely going to experience some profound changes. The FCC's proposed new rules, for which the comment period ended last week and which may be voted on soon, are intended to undo some of the perverse incentives and unfair charges levied against incarcerated people and their families. However, many county jail and corrections officials oppose any plan to cap, roll back, or eliminate the expense of phone calls. They contend that the steep phone charges pay for essential services, including reentry and training programs designed to keep people from reoffending and returning to custody. Nonetheless, FCC officials and inmate advocates say the current system does more harm than good and that it's time for reform. "We are determined to address this in a way that is both sustainable and fair," Clyburn said in interview. "To make sure that these families, these friends, and their legal advisors have a way to keep in touch, a way to provide adequate advice, and — most importantly for me — for those 2.7 million children who have at least one parent in prison, to ensure that they have a regular communications vehicle in order for them to thrive as best they can in an already difficult situation." The market monopoly at the heart of the sky-high phone rates in jails and prisons results from a basic disconnect between users and providers. When ordinary consumers sign contracts with AT&T, Verizon, or T-Mobile they make a choice about which company offers the best service and rates for their area. If they receive poor service or believe they've been subjected to unfair charges, they can switch carriers. But inmates and their family members have no choice. They must use the company selected by the correctional facility. And back in the 1980s, the CEO of an inmate phone services company found a creative way to access these monopoly markets inside jails and prisons, said Paul Wright, who has extensively researched the inmate phone market and is the director of the Florida-based Human Rights Defense Center.